MS Dhoni and Virat Kohli have both been very successful in IPL and international Cricket. Just Like 50's and 100's are considered as milestones in One Day and Test Cricket, 30's has become a landmark in T20 cricket. In the player stats that the broadcasters show, number of 30's is one of the entities recorded. Going by this, as captain, Virat Kohli has the most number of 30's in IPL with 56 and MS Dhoni has 55 to his name. However, another important factor to be considered is the batting positions. Virat Kohli has batted in the Top order while MS Dhoni has been batting in the middle order. MS Dhoni has really done well to gather so many runs batting at the position he does. This page contains news relating to various facts and events. The views are generally about current affiars and general topics in diversified areas such as political, international, national, and regional issues, sports, health, travel, lifestyle, technology and business. People having similar interets on the above topics will find this page useful. 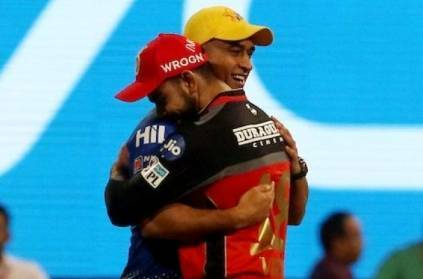 Virat Kohli has more 30's as captain that MS Dhoni | Sports News.